I've seen plenty of marches and signs in my time in France, but this protest is something new. About a week ago, police fired grenades on a group of young people in Tarn, in southern France, who were protesting the building of the Sivens dam. To be fair, the protesters were firing Molotov Cocktails, and seven of the police officers were injured. So, all in all, not anybody's finest moment. Young people have taken to the streets in Paris in protest, forming barricades in a very pointed reference to the French Revolution. Slogans include "violences policières: S.G. en colère" ("police violence: S.G. -- Sophie Germain High School, that is -- angry"). "Justice nulle part, police partout!" ("Justice nowhere, police everywhere! "), "Charlemagne mobilise" ("Charlemagne High School mobilizing"). amd "Non: aux violences policières, aux expulsions, contre les controles aux facies. Aidez-les! Y en a marre!" (Non: to police violence, to expulsions, against racial profiling. Help them! We're sick of it!"). No, it's not just you, that last one isn't very catchy, but it gets its point across. While the reference to the French revolutionaries is purposeful and clear, these protests are not exactly like the storming of the Bastille. Basically, high school students are peacefully gathered in front of their schools, forming barricades of youthful idealism and green plastic garbage bins. As somebody shorter than pretty much all the high school students, and practically the garbage bins, too, for that matter, it feels intimidating at first. Will I be able to cross? They politely step aside, and the only thing it, it turns out, I really mind is the kids smoking. But they're quite benign. And happy to pose. So, it's not exactly Revolution 2.0, but it does have a certain French flair to it. Petite Rouelle Blanche is essentially a miniature version of a Rouelle du Tarn. Like it's big brother, it's a lactic cheese, in the form of a ring, made in Tarn, in southern France. The big brother version generally is ashed and gray, whereas the smaller version, which doesn't age as long, comes either ashed or, as in this version, pure white. It's a lactic cheese, with a wonderful, mild tang and sweet nuttiness to it. It's a farmhouse cheese, from one particular farm with just under 200 Alpine breed coats who pasture outside, weather permitting. Depending on the temperature when you're serving it, the texture is either firm and creamy, or wet and oozy. 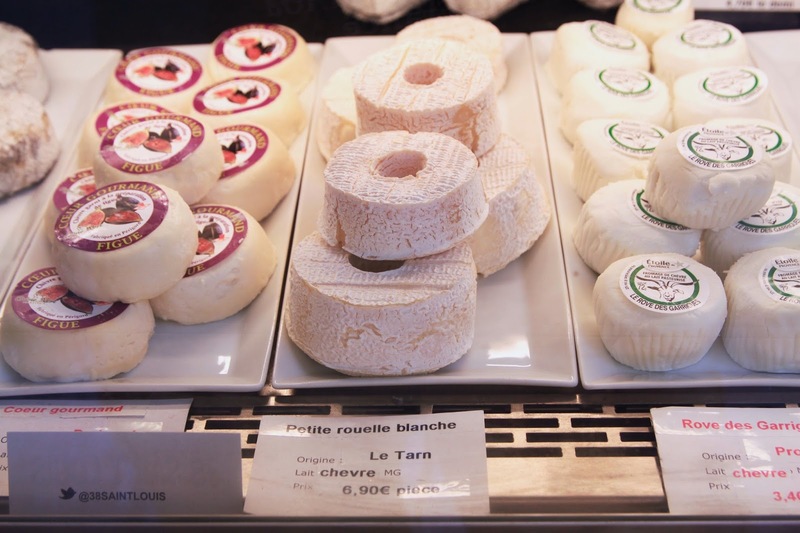 The farm has won many awards for the Rouelle du Tarn and the Petite Rouelle Blanche, both of which rank high up there with our family's very favorite moldy donut cheeses. Petite Rouelle Blanche is a cheese from the area of Tarn, right near where the Sivens Dam (a small tributary river into the Tarn) is being built -- and protested.